When you need windscreen repairs or replacement glass, your protection is our priority. 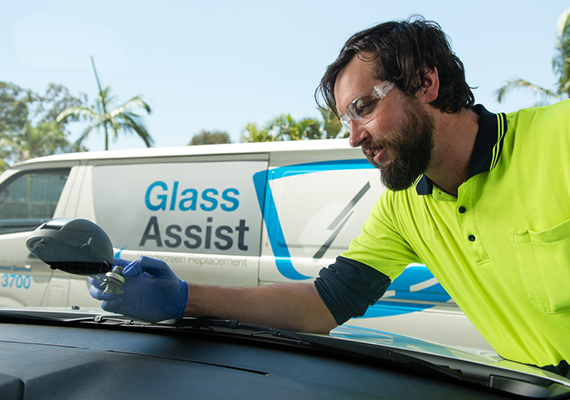 As a partner in the Assist network, our mobile automotive glass technicians at Glass Assist are never far away, operating within the Toowoomba region and throughout South East Queensland. So, whether you’re at home, at work or on the road, our friendly and experienced Glass Assist team will come to lend a hand. As a partner in the Assist Network, you can rest assured knowing that we will come to you whenever an emergency arises. With a wide range of glass solutions, when you need a windscreen replacement, we’ve got it covered, whatever you drive. We provide a lifetime warranty on all glass and workmanship. So it’s not just your glass that’s protected, it’s your wallet as well. Windscreens are designed to be tough. Made from laminated glass, they’re crucial for your protection on the road and for the overall structure of your vehicle. Despite their strength, a small stone travelling at speed can result in anything from a small chip to a full blown crack that runs the length of your windscreen. Generally, if a chip is smaller than the size of a $1 coin, the damage can be repaired, anything larger will need a full replacement to preserve your safety on the road. Not sure if that chip can be repaired? Our qualified automotive glass technicians will provide you with the best advice. We always take price into consideration and will prioritise windscreen repairs over a replacement where possible. When it comes to windscreen replacement, we don’t mind blowing our own horn to say that we have the perfect solution to fit just about any vehicle and every budget. We know that a broken windscreen can leave you at a stand still, so we work fast to ensure that you are back on the road again soon. When the damage is severe, we don’t expect you to come to us. We can bring new glass to you, regardless of whether you are at home, at work or on the road, replacing it on the spot. 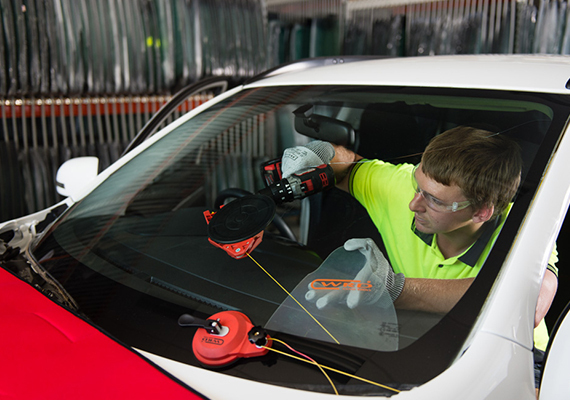 For windscreen repairs & windscreen replacements, we’re here to assist.